There is a lot to do on a cruise to Grand Turk island from Charleston. The popular port is packed with amenities and it is highly worthwhile to explore the rest of the island as well. The Grand Turk Cruise Center is the starting point for your visit. Ships dock at piers so you have easy access all day. There are many Grand Turk attractions. Enjoy the beaches or swim in a very large swimming pool. Beach chairs, floats and snorkeling gear are available to rent. 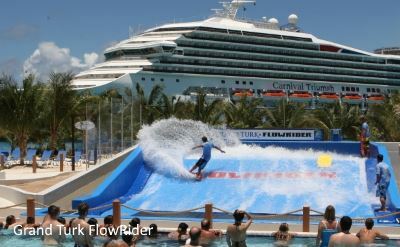 The FlowRider surfing simulator is fun to try. The port has a popular Jimmy Buffett's Margaritaville bar and restaurant. Duty-free shops are also offered. Get away from the crowds at the cruise port and enjoy the pristine Governor's Beach, the best on the island. It's on the west coast between the Cruise Center and Cockburn Town, and it is part of Columbus Landfall National Park. 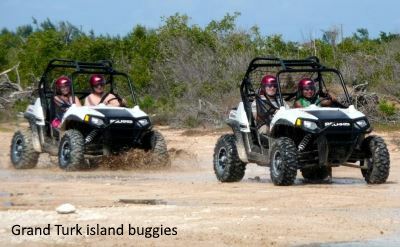 You can rent a scooter, golf cart or car to explore the rest of the island on your own. Sights to see include the Turks and Caicos National Museum, Grand Turk Lighthouse, and the Salt House. Walk around the shops and restaurants at Cockburn Town. At Gibbs Cay you can interact with stingrays. 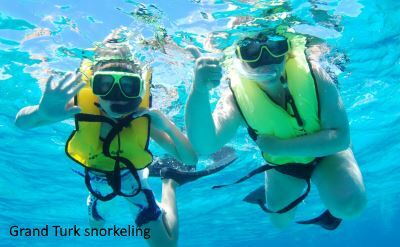 Grand Turk doesn't have much to offer snorkelers. The water is nice and clear, but there isn't much to see. The good reefs are offshore and a bit too deep for snorkelling but are good for scuba diving. Grand Turk is the capital of the Turks & Caicos islands, and is located about 600 miles southeast of Miami (view the location of Grand Turk on Google Maps). The US dollar is the official currency, which is convenient. 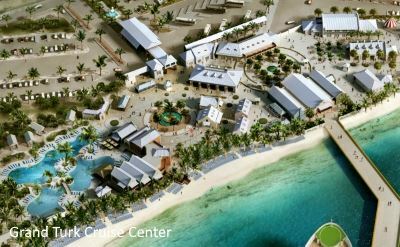 Shore excursions on Grand Turk available through Carnival Cruise Line include a catamaran sail, reef & rays snorkeling, certified scuba trip, power snorkeling, flow-rider surf simulator, Gibbs Cay beach with stingrays, kayaking, submarine ride, and stand-up paddleboarding. Want more choices? There are also shore excursions on land. 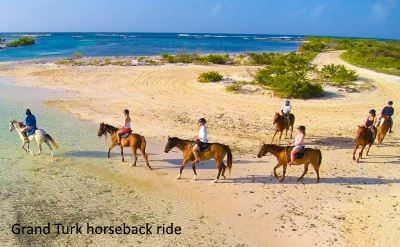 Go on a horseback ride on the beach, island exploration by Hummer, off-road ATV adventure, ropes course challenge, helicopter adventure, Segway ride, island buggy rides, and a historic homes tour. 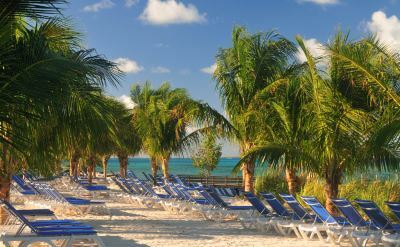 7-day cruise to Grand Turk on Carnival Cruises. Round-trip from Charleston to Princess Cays (Bahamas), Grand Turk (Turks & Caicos) and Amber Cove (Dominican Republic). 11-day cruise to Grand Turk on Carnival Cruises. Round-trip from Charleston to St Thomas, Aruba, Bonaire, Grand Turk and Half Moon Cay. • 2019 departure: December 3. For more choices, see our complete schedule of cruises to the Caribbean from Charleston.